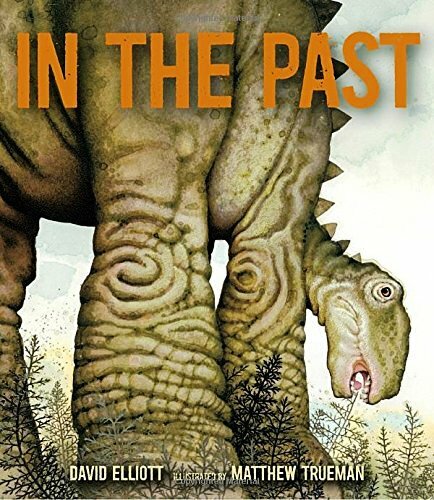 Readers young and old NEVER get tired of dinosaurs, and author David Elliott’s newest picture book, In the Past: From Trilobites to Dinosaurs to Mammoths in More Than 500 Million Years, is one of the reasons why. 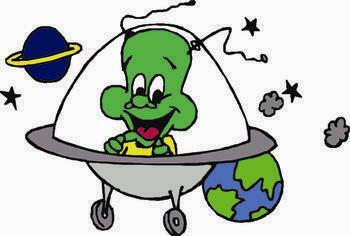 In the book, Mr. Elliott uses rhyming and free-verse poetry, and even Haiku-ish verses, to tell the curious stories of some of the most obscure dinosaurs out there. There is the Trilobite dinosaur, which looks like a gigantic version of a sea-monkey; the pale-aqua Astraspis, which looks like a tadpole before it grows its legs and loses its tail; and the Dunkleosteus, which looks like part sea lion, part big-mouth bass (with razor-sharp teeth! ), and whose body is so big it takes up a full spread in the picture book. There’s the Meganeura, which looks sort of like a radioactive dragonfly; the Dilophosauras, which looks like it’s poising a brightly-colored solid-bone cap on its head; and the amazing (and, at least to this reviewer, little-known) Yutyrannus (see above), which looks like a tyrannosaurus except that it’s covered in the most curiously-cuddly feathers a reader every saw. 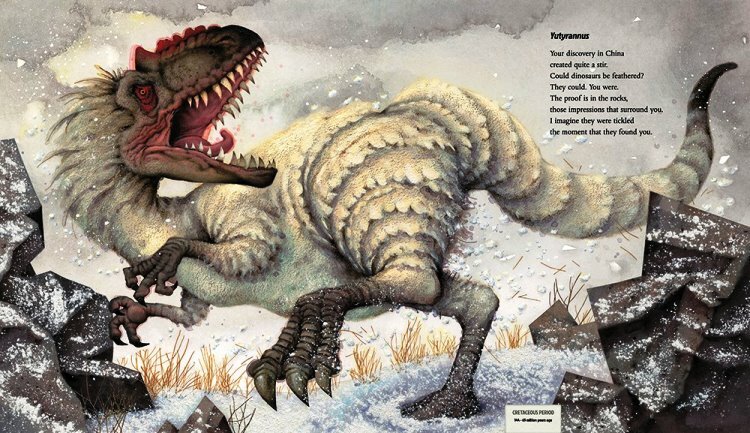 This is a beautifully-illustrated picture book that any dino-lover or budding paleontologist should love to have on his or her bookshelf. Artist Matthew Trueman’s illustrations are big, bold and bursting with color and detail. Author David Elliott’s clever prose delivers everything readers want to know about dinosaurs in rhyme and free-verse, making the prose as rare and curious as the dinosaurs themselves.